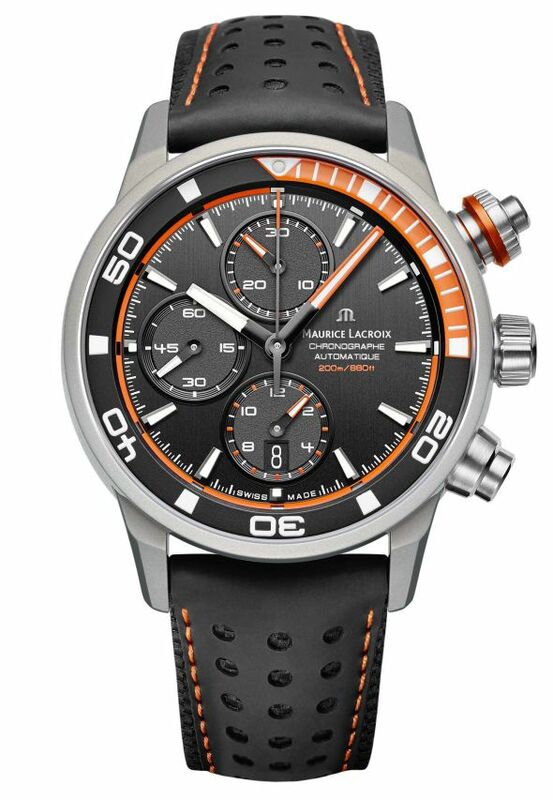 Maurica Laxrois Pontos S extreme had presented in Basel 2015 and with its extraordinary case design this watch deserved to get on the news. Before everything else we should mention the watch’s case. 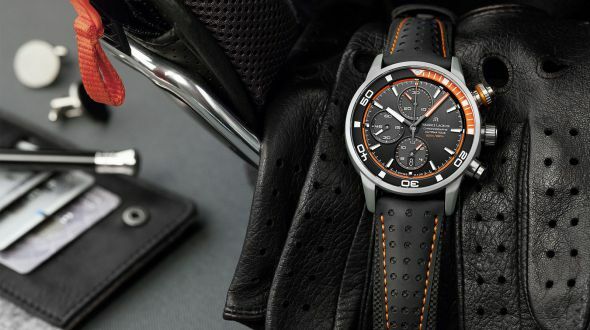 Thanks to a new alloy called “Powerlite” the watch becomes 3 times lighter and 2 times stronger than regular steel. 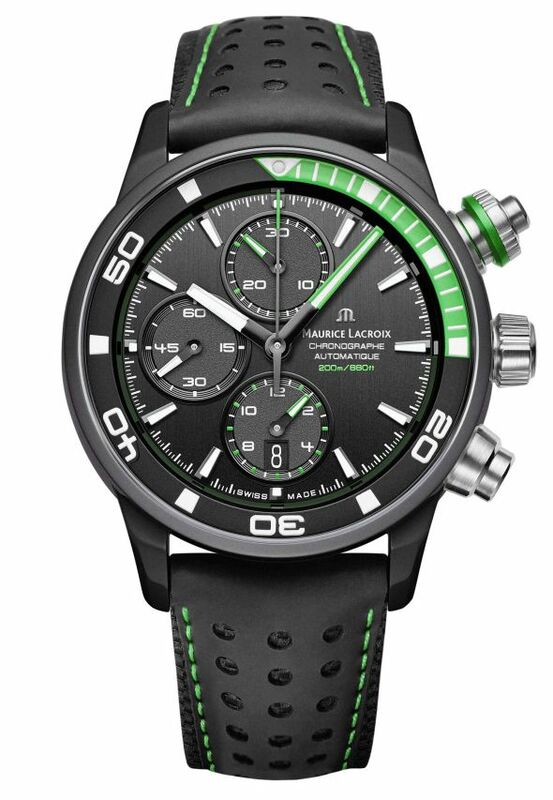 The brand really putted their signature on the watch about lightness and soundness by combining aluminum, magnesium, titanium, zirkonium and ceramic. At the end of the job Powerlite offers a long time durable case to clients. New Pontos presented with 2 assertive colour options. 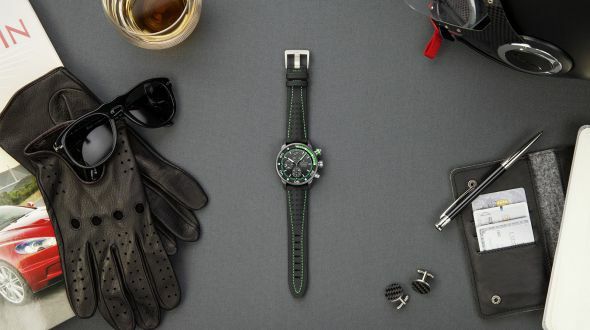 While the first one features natural grey Powerlite case and orange details, the second one features anthracite Powerlite case and green details. Orange and green colors takes their places on bezel, buttons, minute hand and dial at both watches. Pontos S Extreme reflects its name and offers you a strong and assuring look. New Pontos measures at 43mm and offers 200 meters water resistance. Inside the watch is automatic ML112 caliber. The button positioned at 2 marker moves inner bezel and starts/stops chronometer.